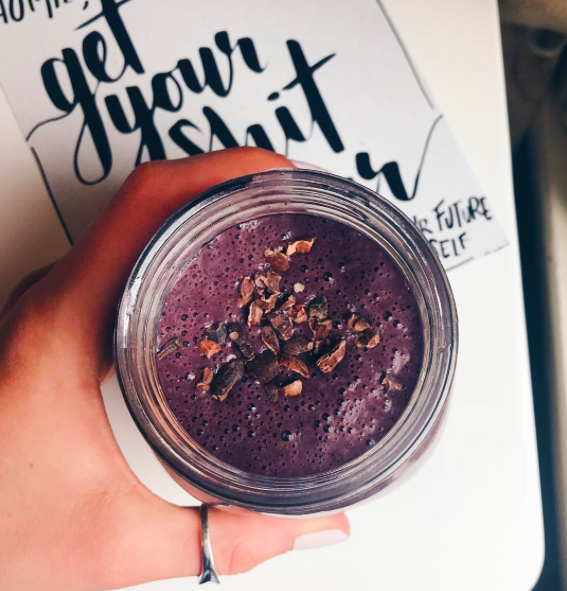 This is my go-to smoothie at the moment - so good for breakfast or post workout! It's also a perfect way to get your greens in! Place all ingredients into a blender, blend and then pour into a glass.